Applications for the British Equestrian Federation’s World Class Equine Pathway Programme for dressage have now opened as the search begins to find Great Britain’s next set of world class dressage horses. The Equine Pathway Programmes for dressage, eventing and jumping was introduced during 2006/2007 and is funded by the National Lottery and UK Sport. Since its inception, the federation’s World Class team has helped horses on the programme to reach the top level of equestrian sport and win medals at the biggest competitions. This programme is designed to identify and support the next generation of young dressage horses (aged between 6 – 10 years) that show they have the qualities to represent Great Britain and ideally medal at the 2018 World Equestrian Games and the 2020 Olympic Games in Tokyo. The Programme supports athletes, owners and the home teams of selected horses to help them maximise their horse’s potential. Areas accessed in the past include additional training sessions with a home coach nominated by the owner or the athletes, competition support together with practical advice and guidance on performance management. They will also receive veterinary and farriery monitoring and advice from the World Class team. Athlete Sonnar Murray-Brown has benefited a lot from the programme. “It has been great to have this level of support behind me as it has given me a lot more confidence,” Sonny began to explain. The selection process for the Equine Pathway for dressage has changed from a three stage process to a two stage process made up of the application stage and then selection trials. The selection trials will include free-ride group sessions and test riding with an international judge and an international coach who will offer feedback wherever possible. Applications must be completed and returned by Thursday 13th October. All combinations wishing to be considered for selection are also required to attend both selection days which will take place on the 7th and 8th November at Addington Manor Equestrian Centre, Buckinghamshire. 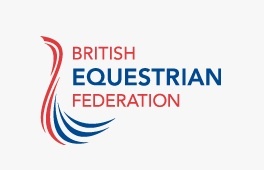 For full details on the selection process, minimum performance standards and criteria, selection timeline and the application form, visit the BEF website.